Tons of interior storage for people who like to carry around lots of stuff. Numerous bottle holders for those who need lots and lots of hydration. Even a little storage compartment in the 3rd row seats (sort of like a 3rd row glove-box). All compartments are tucked away out of sight, and easy to open when you need them. Have to love the the hidden sunglass holder, which doubles as a spy mirror for little, fighting passengers in the rear (possibly arguing over which DVD to watch in the rear-passenger DVD player). Okay, this spy mirror could work well for adults too! Seats are really comfortable, although I spent very little time sitting in the 2nd and 3rd row seats. I cannot tell if they’d be comfortable for more than 5 or 10 minutes. The leather is nice, not too soft, and not too rough. Lots of adjustments for the driver (including an adjustable lumbar support, which was a really nice feature), and quite a few adjustments for the passenger. And all of the rear seats were easily folded flat, or back into the upright position. 3rd row entry was a breeze, with a quick tug of a lever from the 2nd row seat. Cabin temperature was easy to control, and I actually got cold a couple of times with the A/C. Dual cabin controls are nice for someone like myself (who melts easily), whilst not freezing out my passenger. Very easy to read the instrument panel in both broad daylight and approaching darkness (I really liked the white background for the instrument panel). Given it’s size, I didn’t have any trouble seeing behind or beside me in traffic (when driving forward). I never once had a “oh crap!” moment in it (with the exception of parking). That actually surprised me. Hats off to Honda for making such a large vehicle with few, if any, blind spots! And lest I forget to mention… I love the automatic lift gate. A push of the button, and up it goes. Another push of the button, and down it goes. In addition, the glass hatch can be opened and closed separately, just in case you only need to reach in. There’s a built-in netting to hold small items that are easily reachable via the glass hatch entry. You need to put larger things in the very back? Not an issue. The netting easily tucks away and allows larger objects behind the 3rd row seats. There are so many other interior options that are great (rear passenger DVD player, wireless headphones, USB Audio interface, Bluetooth® Hands Free Link, XM® Satellite Radio, Premium Audio System, Navigation system…) that I could just go on and on and on. This vehicle is LOADED and with really NICE features. I really don’t like the gear-knob on the dashboard. There must be a lot of people who DO love it, because Honda keeps putting it there (CR-V and Pilot in my experience). It does clean up the center area a bit though. Honestly, this was the worst thing that I found wrong with the Pilot, and it’s minor. The 250-horsepower engine definitely got up and moved. And it had a lot of vehicle to move! At around 4,600 pounds, the Pilot is no flyweight vehicle. The weight explains its reluctance to stop on a dime, but it would be something you’d need to allow for in stop and go driving conditions. Given the rising fuel costs, I was just a bit disappointed in the mileage. 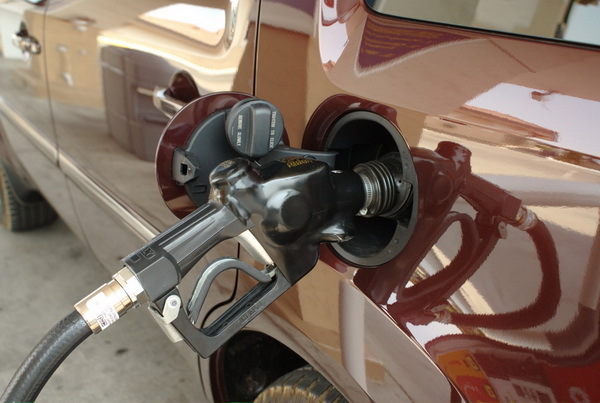 If the edges were slightly rounded, without sacrificing the added space, it would help with the vehicle aerodynamics and fuel usage. Also, because the vehicle was so new (we were among the first to drive it), it was still breaking in. I imagine that if it had a bit more mileage on it, I could have gotten better mileage, especially if I were to drive it over a longer period of time. Given the above, I really have no other qualms about the Pilot’s performance. It was a steady drive. Accelerated easily. Got me from point A to point B quite comfortably. I felt like it was a solid vehicle that I could count on to get me up to speed and keep me safe, all while carrying a bundle of stuff and passengers, with room to spare. While I wasn’t crazy about how the Pilot handled in a cross-wind, everything else about it screamed: STABLE and SAFE. I should note that while I got blown about a bit in a strong crosswind, I never felt as though we were out of control. I just needed to hang on to the steering wheel and pay close attention. It behaved nicely in stop and go traffic conditions. It was equally at ease doing 75 mph on the open freeway. Uphill driving? Not a problem. It zoomed uphill and on the flats with ease. Curvy roads? Bring it on. Rolling around town looking for a parking place? It drove nicely in “parking space hunt mode”. While the Pilot certainly isn’t a sports car – the turning radius was reasonable (as expected) given it’s size. 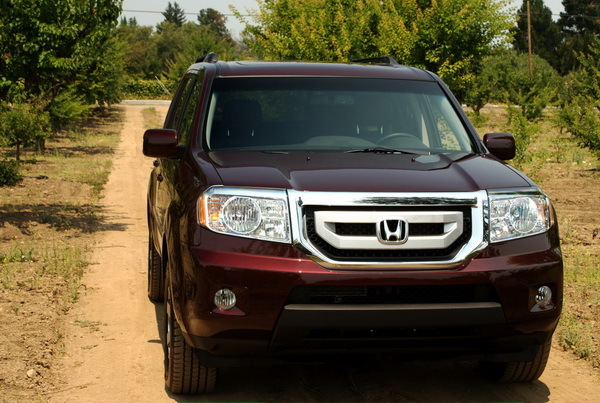 2011 Honda Pilot boosts of a satellite navigation system.The looks are truck-like, but this car is a great performer,efficiency is increased by the powerful V6 engines. This car has good road manners and moves almost without a sound. It drives very well and has awesome towing capacity of 4500 pounds. 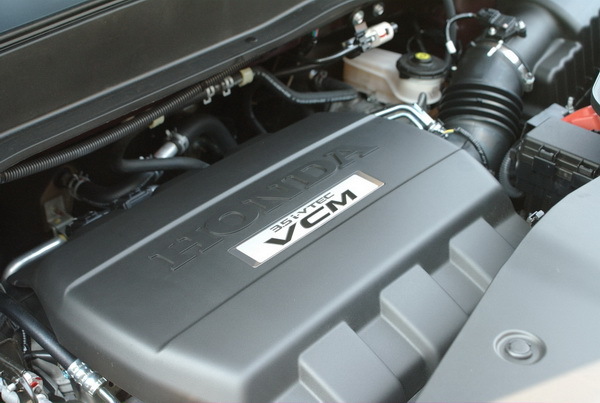 Also Honda has got the cylinder deactivation system, which makes it more power delivering. The ride is always firm and the tires don’t lose grip, be it on snow-clad streets, wet roads or muddy tracks or deserts! The Honda Pilot almost defies the laws of Inertia! This SUV will wade past the most difficult terrains with astuteness and dexterity seen never before in any other mid-sized affordable car! Hi, I’m the author of this review. 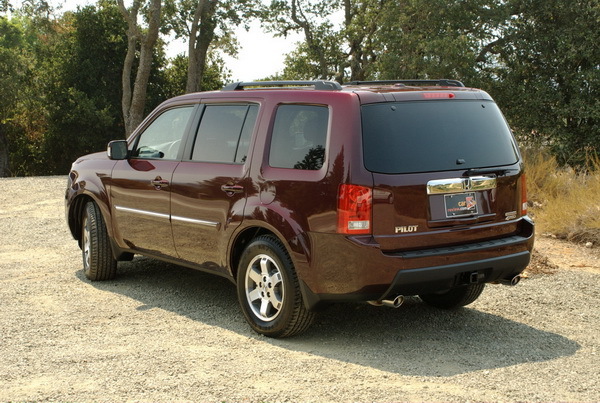 I have updated the review to reflect the shapes of the Element (no year specified) vs the 2009 Pilot. I’m really sorry about mis-representing the Element in this review. I’d used some specs and info from the Honda web-site (the site appears to have changed since then), and they’d shown the “2009″ models on the top banner. I assumed (although now it seems prophetic – see below) that the Element was also re-designed for 2009, without doing the actual research (since I was researching the Pilot). Anyway, mea culpa. It won’t happen again. I just did a Google search for “2009 Honda Element” and had a bunch of hits, with all kinds of links to the 2009 Element. Please tell us we all want an answer. I would also like to know the future of the E.
I work at the plant ..this is the latest, Honda was all set to issue a new model year with only a color change however due to the disappointing sales they have decided against it. I’m sure it is also due to the sluggish economy and the shift to more efficient vehicles. Word is we will be closing the plant to retool it for a completely different vehicle. If you’re in the market for an element I would hold off because Honda will be having a big sales promotion in November to get rid of the remaining stock…word is up to 4 grand off! the Honda AK over at the EOC are all dying to find out about their new garbage box…don’t tell the the truth they will all start to cry..
been posted anywhere about any major changes.